For those of us of a certain era, it’s hard to remember a time when David Bowie wasn’t entertaining us and surprising us in so many different and wonderful ways. British PM, David Cameron, was spot on in describing David as a genius, and he is one of a small handful of artists who have had a deep and lasting impact on several generations. Go well, our starman, and let’s keep dancing. 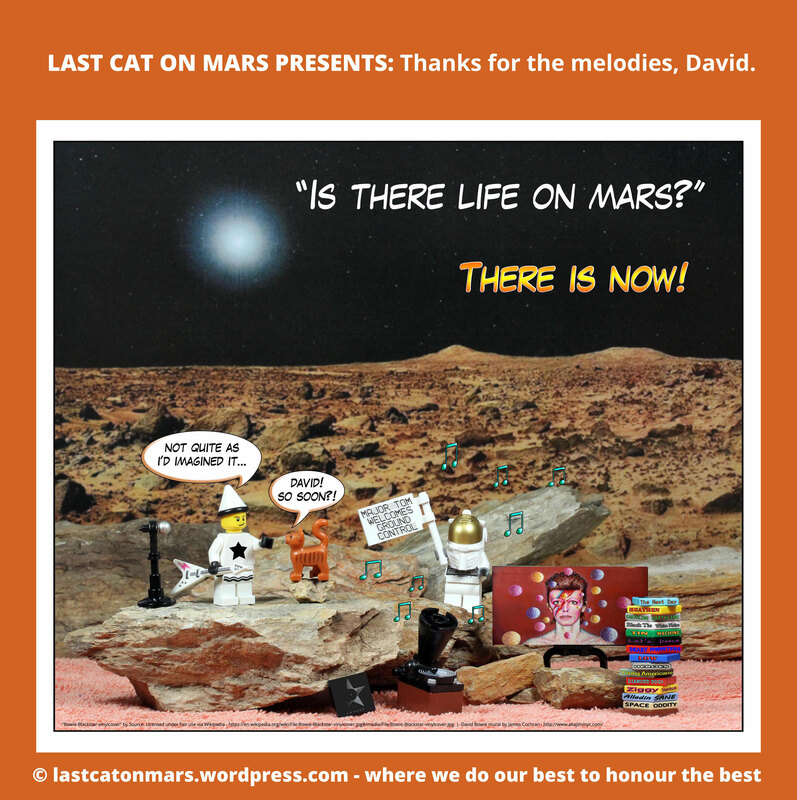 This entry was posted in Special Occasions and tagged David Bowie, Last Cat On Mars, lego, life on mars, Major Tom, Mars, minifigures, music, space, starman on January 13, 2016 by Jay Verney. 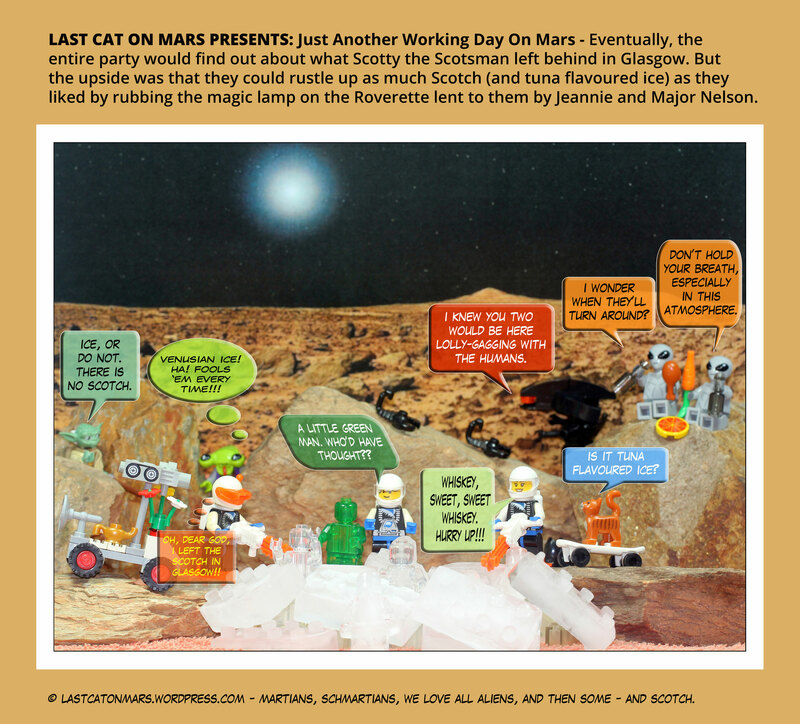 Go to this NASA link (Mars mystery revealed 28 Sept 15), to read all about the latest and greatest Martian follies and funky stuff. This entry was posted in Space, Special Occasions and tagged Mars, mystery, NASA, space on September 28, 2015 by Jay Verney. 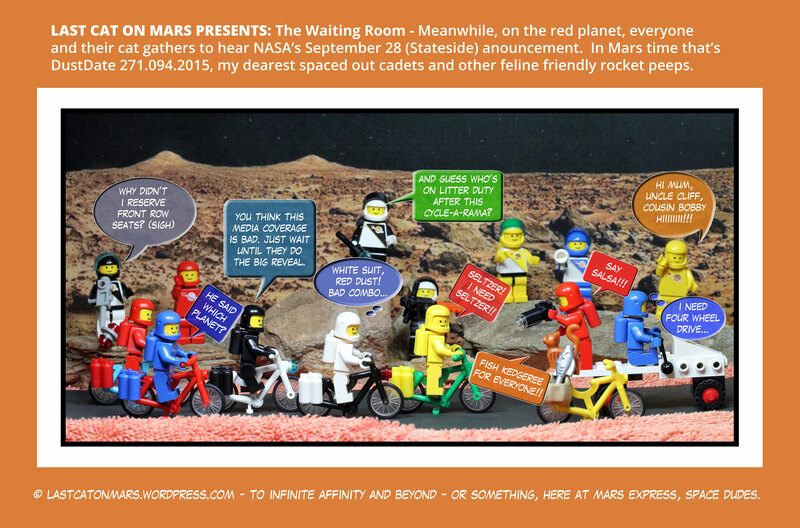 This entry was posted in Space, Special Occasions and tagged astronauts, cycling, Last Cat, Last Cat On Mars, lego, Mars, minifigures, NASA, red planet, space on September 28, 2015 by Jay Verney.